MOCAP EPDM rubber washer plugs fit and protect threaded and non-threaded holes while the flange masks the area around the holes. Rubber EPDM plugs are chemical resistant and good to 300°F (149°C) and can be re-used in many applications. 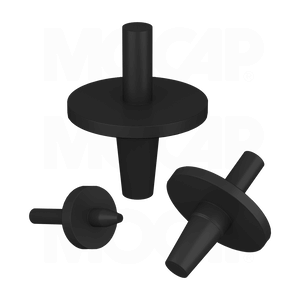 MOCAP's line of rubber products includes silicone and EPDM rubber caps and plugs stocked in many sizes for immediate shipment.